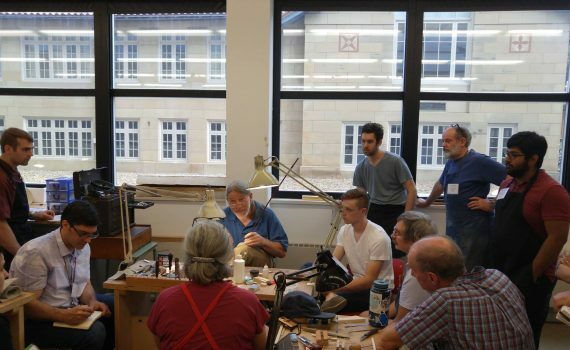 Three members of our team, Rodger, Robert and Rebecca, were able to be a part of the Oberlin Instrument Workshop this last week. It was a very full week in which we were blessed to learn from the finest in the violin world. 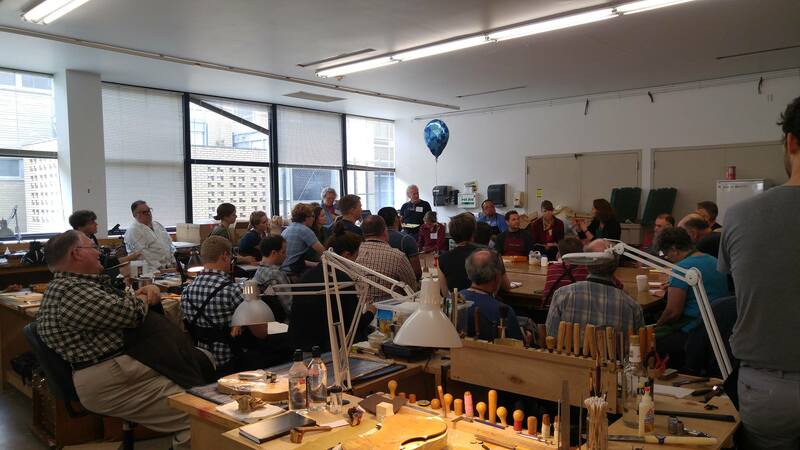 Below are pictures from the Bow Restoration Workshop with David Orlin instructing on Bow Rehairing techniques. And the Iris Carr lecturing on finish and retouch techniques. It was a very beneficial week for all who were involved. "Trust in the Lord with all thine heart and lean not unto thine own understanding. In all thy ways acknowledge Him and He shall direct thy paths." Sign up here to receive our monthly newsletter and alerts for special sales and events.